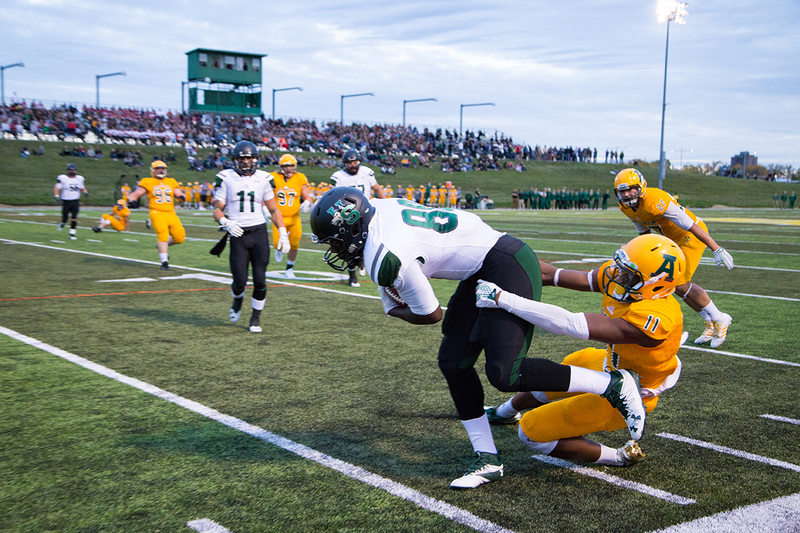 Shaydon Philip slows the Huskies offence. The Pandas soccer team pummeled the Thompson Rivers University WolfPack on the road to start a BC roadtrip. Five different Pandas found the back of the net, giving the team all the momentum in their Saturday match. Pandas won 3-0 over UBCO Heat on Sunday, giving them a 3-0-1 record on the season. They will be at home next weekend for games against the UVic Vikes and UBC Thunderbirds. Golden Bears soccer saw their record blemished for the first time on Friday, as Connor James kept a clean sheet on the way to a 0-0 draw against the UBC Thunderbirds. Travelling to Victoria on Saturday to play the Vikes, Alberta got back to its winning ways, pushing to a 3-2 win. First-year sensation Ajeej Sarkaria continued to find the twine, firing two goals past the Vikes keeper. Armaan Bhinder chipped in another tally. The Bears will be at home this Friday and Saturday against the UBCO Heat and TRU WolfPack, respectively. Pandas rugby opened their season at home last Sunday, storming back from an 18-point deficit to win 39-33 nail-biter over the University of Lethbridge Pronghorns. Six different Pandas tallied tries in the comeback win, and they will look to stay undefeated in two weeks to face the UVic Vikes. 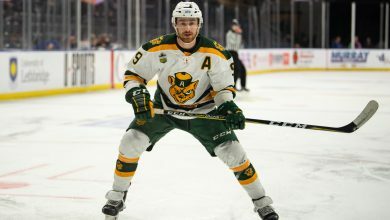 After losing twice to start the season, the Golden Bears were on the road in Winnipeg to face the Manitoba Bisons in a battle of winless teams. The pigskin Bears couldn’t get it done, however, with the Bisons running roughshod to a 42-12 victory. Alberta scored 10 within the first four minutes of the game, but the Bisons answered with 42 unanswered offensive points. 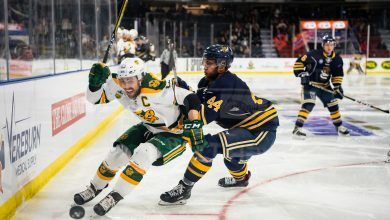 The schedule doesn’t get any easier for the Golden Bears, as they are at home against the defending CIS Champion UBC Thunderbirds on Saturday at 5pm.